Aretha Franklin is still receiving some much deserved R-E-S-P-E-C-T.
On Monday, the Queen of Soul received the Pulitzer Prize Special Citation honor "for her indelible contribution to American music and culture for more than five decades." The honor makes her the first individual woman to earn a special citation prize since the honor was first awarded back in 1930. Today's announcement was revealed at the 2019 Pulitzer Prizes for Arts, Drama and Music. Back in August 2018, Aretha passed away at the age of 76. The 18-time Grammy winner was surrounded by family and loved ones when she died at her home in Detroit. Since her death, the music community has continued to honor the Queen of Soul in various ways. 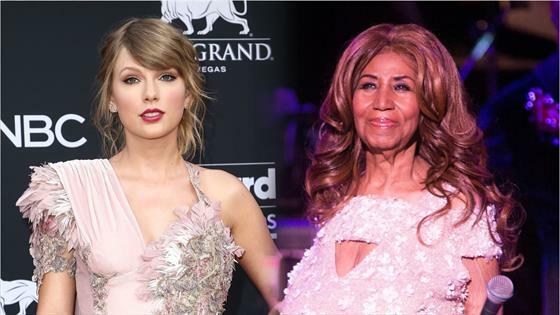 Madonna delivered a tribute to Aretha at the 2018 MTV Video Music Awards and shared that the singer "changed the course of my life." Taylor Swift honored the singer in Detroit with a moment of silence during her reputation stadium tour. And most recently, Fantasia Barrino, Andra Day and Yolanda Adams came together for a tribute at the 2019 Grammys. "In one of the darkest moments of our lives, we are not able to find the appropriate words to express the pain in our heart. We have lost the matriarch and rock of our family," a statement from the family read shortly after Aretha passed. "The love she had for her children, grandchildren, nieces, nephews, and cousins knew no bounds." Cardi B & Offset's Steamiest Moments From "Clout"